Our hotel had been built on 02nd April 1995 and last renovation with 2011. Consists of 68 rooms including 11 Junior Suites and 06 Apartments. Our Classic rooms are Single, Double, Triple, Quadrible rooms, Junior Suites and Apartments. We have 04 restaurants, 02 bars, coffee shop, Pistro and big screen for all events as football world cup and twice weekly for evening movies. We do 02 nights Karaoke free of charge on Saturday and Tuesday weekly. We accept accommodation on bed and breakfast, half board and full board. 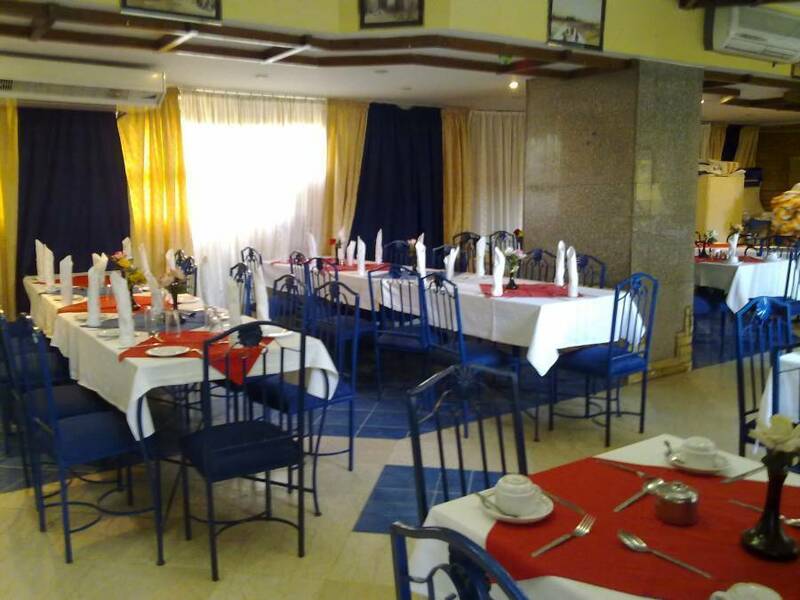 Gaddis Hotel, Suites and Apartments is situated in Center of the town near to Luxor Temple, Mummification museum, banana Island, Karnak Temple and great River Nile. Pets are allowed. Check in time is 15:00 Hrs and check out is 12:00 Hrs(noon time), but if we do have availability we directly offer early check in and late check out. Cancellation is free of charge till 01 days prior to arrival date, otherwise first night full charge will take place. On the other hand, we offer paid pick up service either from Airport or Train Station, through one of our recommended drivers. We have our hotel own Doctor, who is at service 24 hours and in case if you need him, he is available in 01 hour time of your requirement (paid service). Our Reception and Concierge desk can offer helping guests buying Bus, Train or flight tickets. We have 24 hours services specially security for main gates and floors. Free safety deposit boxes available in Reception for the whole stay for all valuable things including passports. Room service for all menu items is available 24/7. 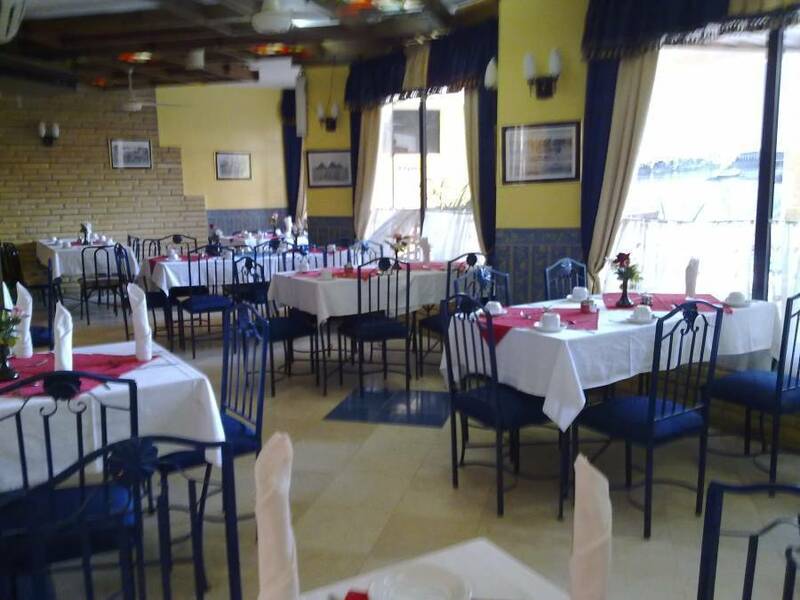 Gaddis Bamboo Bar: Breakfast is self-service offering a wide choice of hot or cold meals including fruit juice, tea and coffee served in the restaurant or by the pool. NB: All dietary requirements can be discussed and accommodated. Fresh produce is delivered daily. 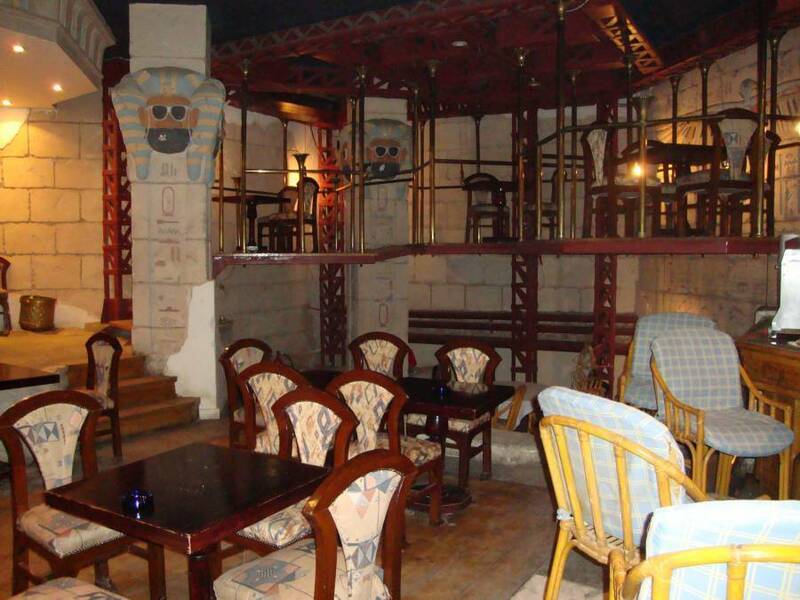 Gaddis Bar: Guests and Customers can choose from our well stocked cellar containing a tantalizing choice of excellent wine, beer, spirits and a surprising variety of cocktails, all of which can be enjoyed in the bars Egyptian style surroundings. Rooms/Apartments: King size, Double, Twin and Family rooms are available, there is no limit to numbers in party, some rooms have interconnecting doors. All rooms have en-suite facilities, air conditioning, telephone, television, Wi-Fi access, most have an enclosed railed balcony with seating. All rooms, Junior Suites and Apartments are cleaned, with linen and towels replaced daily. Cots are also available on request. Reception: Is available24 hours a day, dealing with numerous and varied requests, from trips, taxis to doctors and are acted upon immediately. 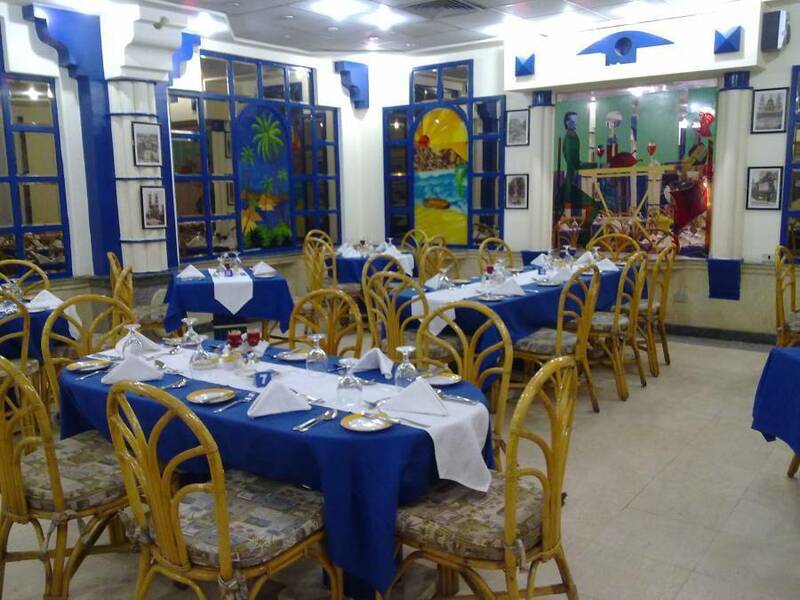 Security: Guests safety and security is of the utmost importance to us. The hotel security staff is on duty 24 hours a day, covering all areas of the hotel. Nighttime security is provided on all floors and main entrance. Beauty Salon: The qualified staff is always happy to discuss your hair style, manicures, pedicures, massage in a professional relaxed environment. Corner Shop: Is located next door to the hotel, where general supplies can be purchased at reasonable rates. Bank, ATM, Money Exchange: Is just a meter away from the main entrance of the hotel, it provides a totally secure environment whilst customers conduct their personal Financial affairs. Entertainment: All guests are welcome to our on site weekly entertainment including Karaoke onTuesdays and Saturday, Big Screen movies are shown on Sundays and Thursday, and’ Disco Night’ Friday. 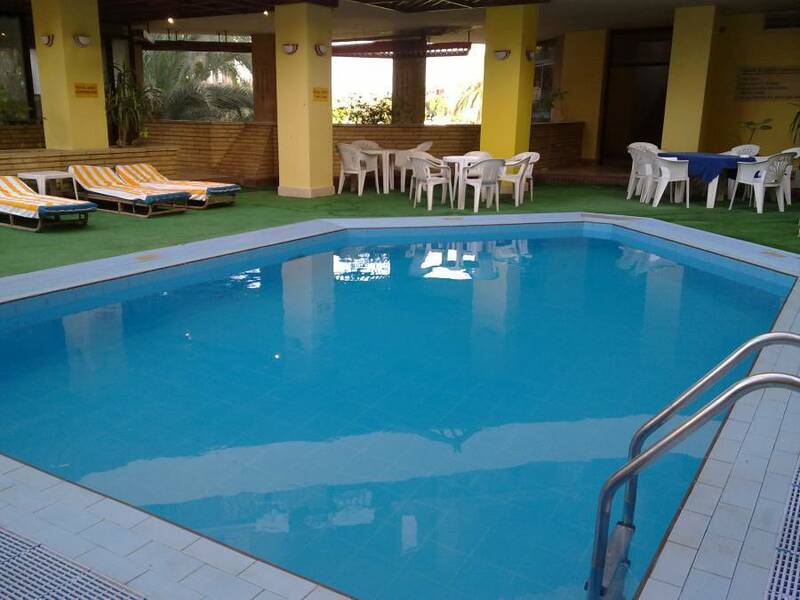 Ooms/Apartments: King size, Double, Twin and Family rooms are available, there is no limit to numbers in party, some rooms have interconnecting doors. All rooms have en-suite facilities, air conditioning, telephone, television, Wi-Fi access, most have an enclosed railed balcony with seating.